What's the right balance between retiring early and saving enough? You don't want to retire in destitution, wishing you'd worked a few more years to save more money. But you also don't want to look back with regret, wishing you had more energy and time to savor your golden years. Finding a balance is tricky, but some simple rules can get you on the right track. It almost goes without saying: the sooner you start saving, the easier it is to build on that savings. As savings earn interest, your money grows even faster as you then earn more interest on your interest. That's called compound interest. "Money keeps going in the direction you send it. It's easier to increase it then to start it," said Jennifer Lane, financial planner and owner of Compass Planning in Boston. 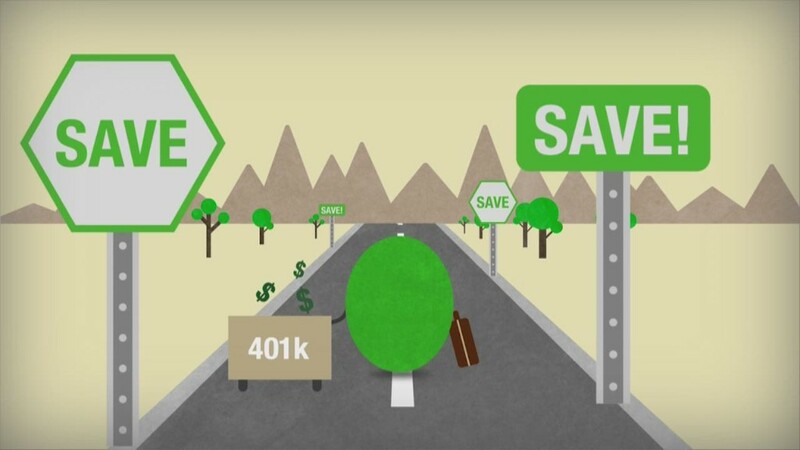 If your company offers a 401(k) match, set up a recurring transfer to meet it -- and then don't touch it. "You want to enjoy and live your life, so the more you can make automatic and start early is great," says Stuart Robertson, president of Capital One Advisors 401(k) services. If you don't like seeing money simply vanish out of your account every month, Lane suggests setting a monthly calendar reminder, prompting you to move some money around. This way, you're the one in control -- but you're still making the process a habit, one that will get easier with time. And automating your process doesn't only lift anxiety -- it also helps curtail unnecessary spending. "Once it's not in your daily budget and it's in an area you can't really get to, you need to live within your means," Robertson says. "You live within that budget." As your income and your lifestyle change, don't forget to check up on your fund to adjust your contributions. "Recognize hey, you just got a raise, maybe give your 401(k) a raise, too," Robertson suggests. According to Robertson, there are some good milestones to check along the way: Aim to have saved the equivalent of your current salary by age 30. At 40, shoot to have saved three times your salary. And if you want to retire by 55, you'll need to have saved around 12 times your income. Lane suggests reviewing your finances every year, setting aside time to make sure you're saving enough to retire when you'd like. If you're under, boost your contributions. If you're on track, keep going. Remember: none of this is set in stone. As Robertson points out, by the time retirement age rolls around, you may even pick up a side hustle, passion project or other source of income. "More and more people might want to quit the job or passion they've been doing to earn money over the last 20 to 30 years, but at retirement age they still want to do something productive," he says. "So maybe it's not a 50-hour work week and it doesn't earn the same, but it's something you enjoy and you can still bring in income, if you aren't where you want to be in retirement savings." So don't obsess over the plan you set -- it can and will change. "The things you think and feel at 50 are different than the things you think and feel at 20," Lane says.